The Tenri Cultural Institute (TCI) started teaching English as a Second Language (ESL) because we have been looking for ways to expand our programs. Up until now, our Japanese language classes for adults have been our most popular program averaging about 100 students a session. However, over the years, we have seen a slow decline in the amount of students taking our classes. (Currently there are about 70 adult students.) Several years ago, we started Japanese classes for children and that has become quite popular. We now have more children than adults taking Japanese classes. TCI also recently started a new relationship with Tenri University as a satellite school. So we are currently setting up a program where Tenri University students can come to New York to learn English at TCI and, in exchange, our students can study Japanese at Tenri University. With this in mind, we had been looking for an English teacher. We thought an English teacher could not only teach the University students from Japan but also ESL students living in New York. We also imagined that some Japanese people might take these classes potentially setting up conversational partners with the “American” students studying Japanese. Fortunately, we were able to hire a local ESL teacher who has a very flexible schedule. After various marketing efforts, the first day of classes started with one student! We didn’t know if it would work out, but slowly more students have signed up. Our first three students happen to be native speakers of Spanish who are related to one of our students of Japanese. The other students are our Japanese school teachers who need some help with their English when communicating with their students. Currently we have less than ten students, but we imagine that over time this group will grow. Another piece of good news was that we just recently decided to start the Joy Workshop at TCI. Until now, most of our religious programs were held at New York Center. 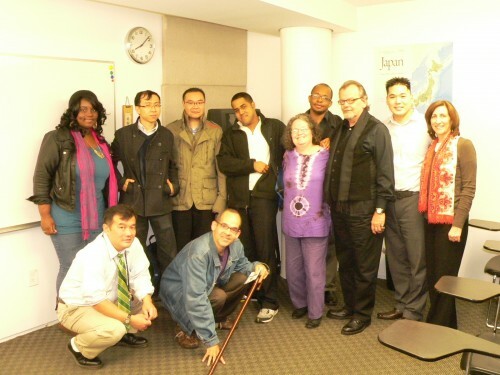 The Joy Workshop has been a good program at New York Center over the years introducing many newcomers to Tenrikyo who come to our monthly services. However, few TCI students attended our monthly services and our Joy Workshop. So we decided to also hold it at TCI as we are gearing up for the Three Day Course (which will be held in New York for the first time in April), and to our surprise, ten people came to the workshop. Most of the attendees were Japanese language students and their friends, one person was a regular patron to our gallery exhibitions and another student was our ESL teacher! We discovered that through this effort that there are quite a few of our patrons who are interested in and curious about Tenrikyo, but are often hesitant to ask us about it. Setting up a program to introduce them to Tenrikyo is a great way to give them this opportunity to find out more. As a result, several participants have decided to go to the Tenrikyo New York Center in Queens to attend our monthly service and some are also interested in the the Three Day Course! 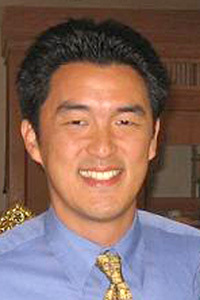 Michael Yuge is the Administrative Director of Tenri Cultural Institute. He has been working at TCI for 15 years. He was born and raised in Los Angeles, but went to graduate school in New York and has been living there since then.